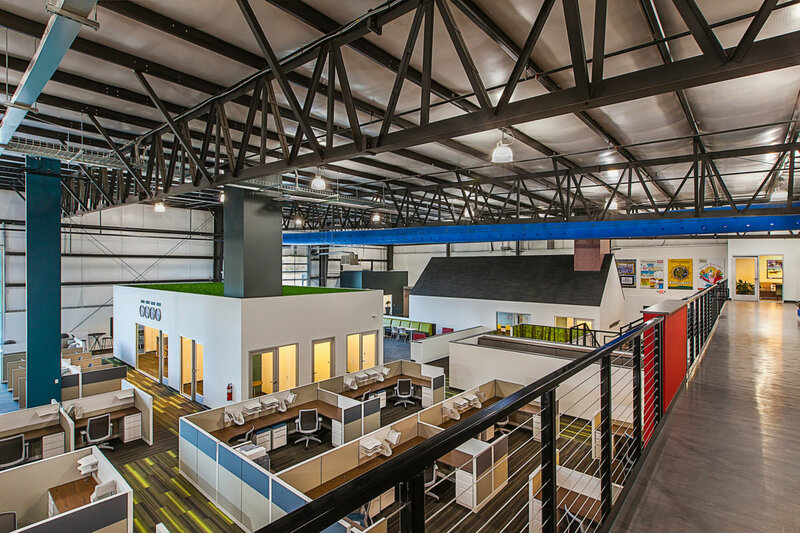 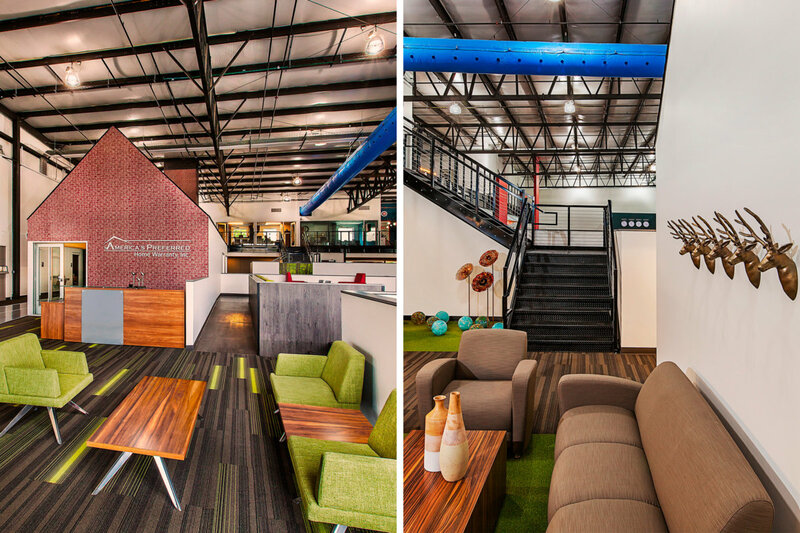 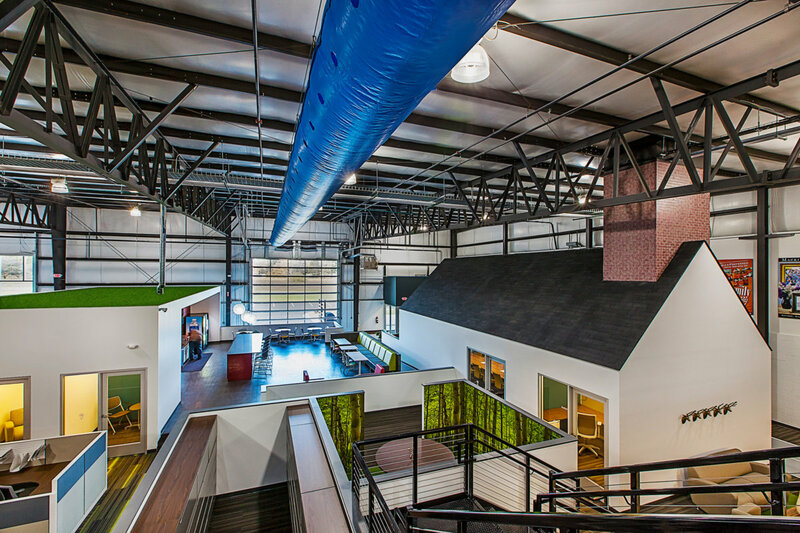 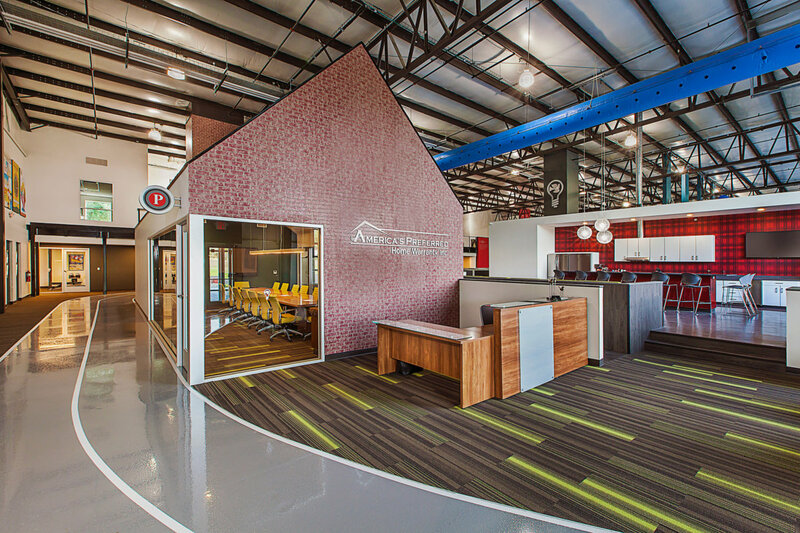 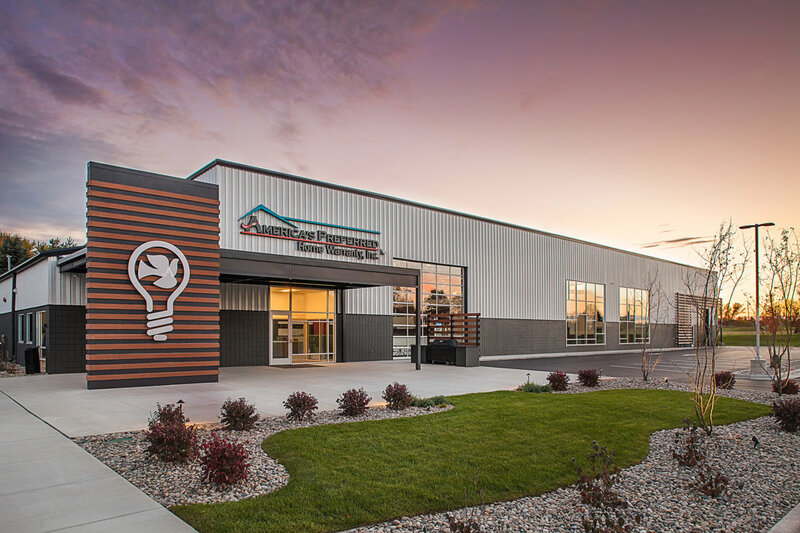 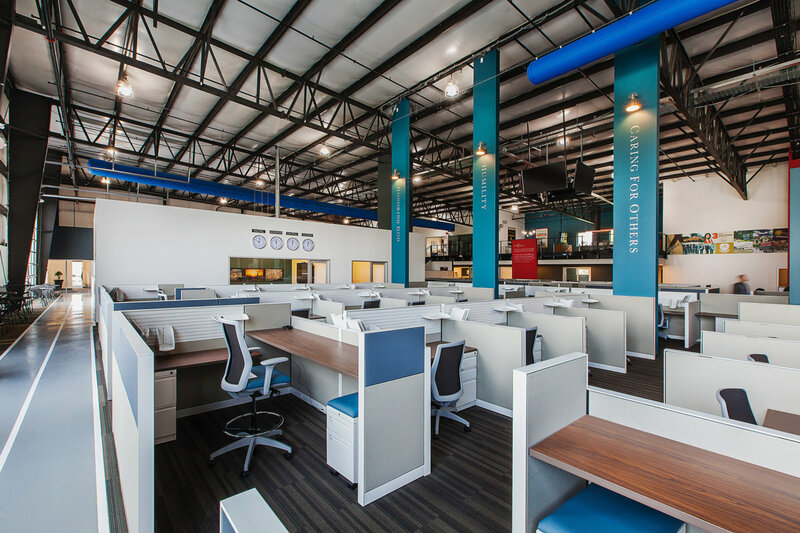 The national headquarters for America’s Preferred Home Warranty took shape by converting a pre-fabricated indoor sports facility into a contemporary, functional and bright workspace for more than 150 employees. 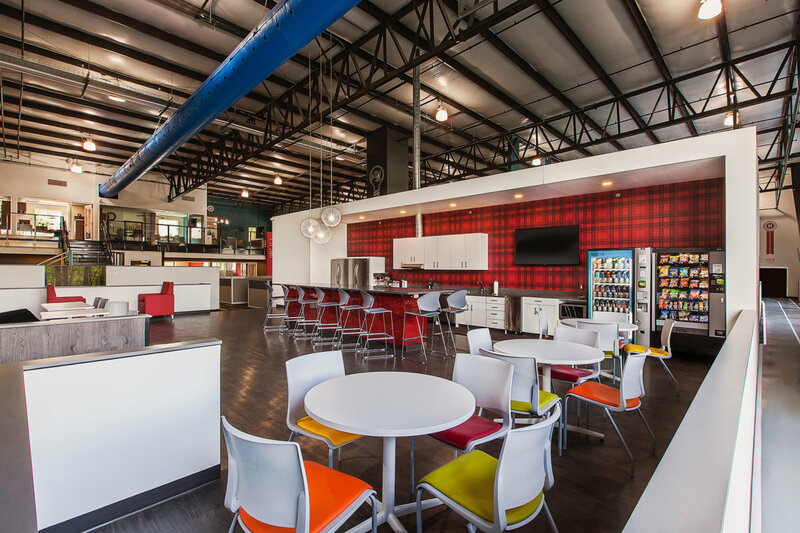 Working from the outside in, a front patio was created to provide seating, an outdoor kitchen and new landscaping, accomplishing both curb appeal and comfortable place for employees to gather in the warmer months. 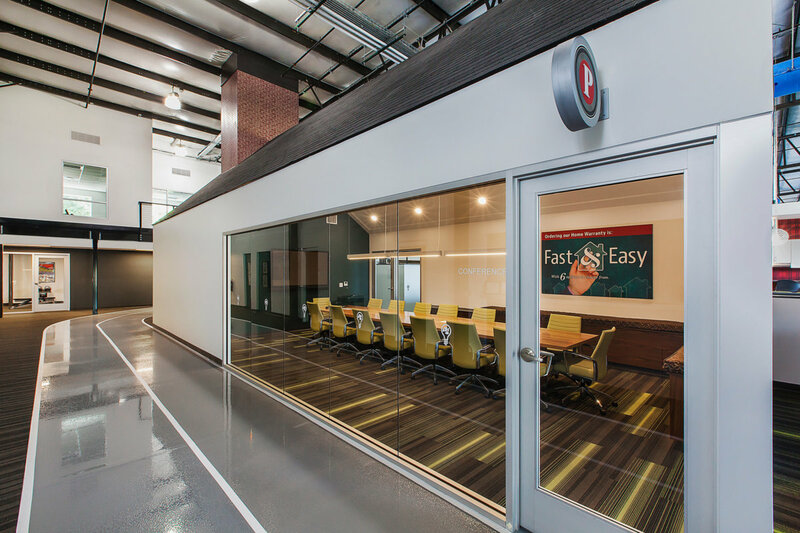 The main entry was relocated and visitors are treated to the immediate visual of a “home” built within the office that functions as a large conference room. 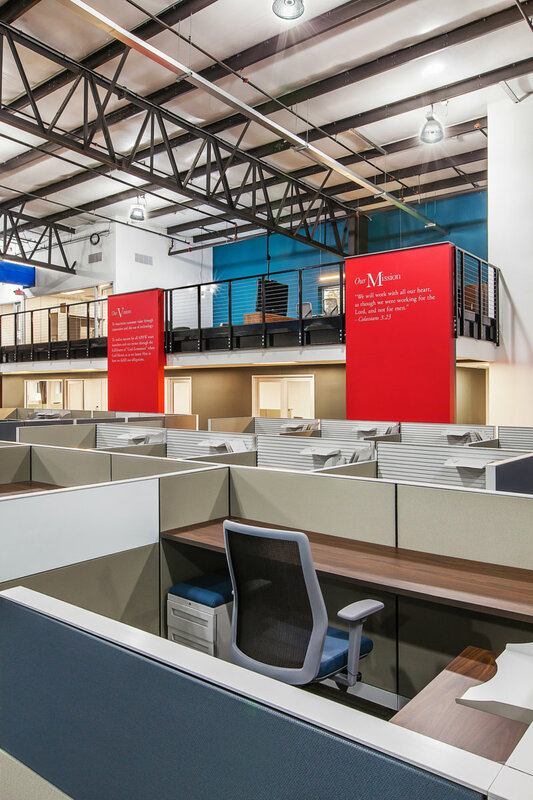 Oversized windows were installed and a mezzanine was built for the executive team to “oversee” operations. 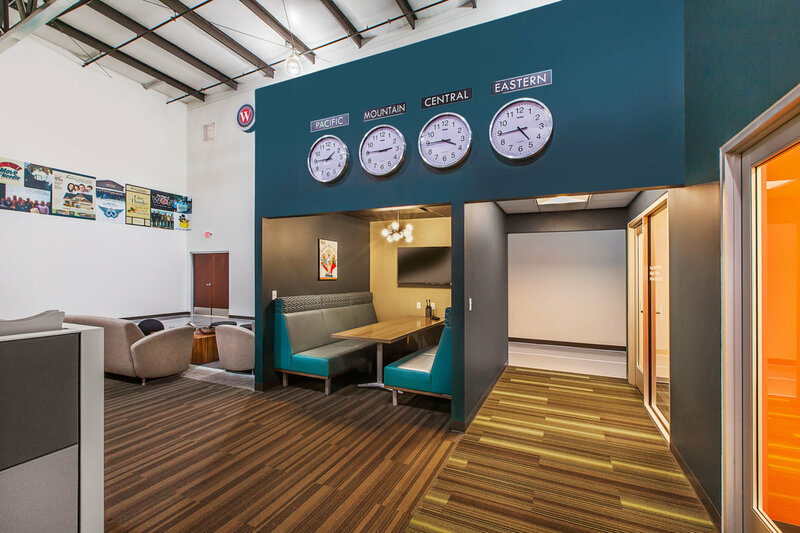 With an abundance of natural light, the open environment includes both formal desk seating and informal working areas such as phone booths, semi-private collaborative areas and a comfortable raised café where employees can convene. 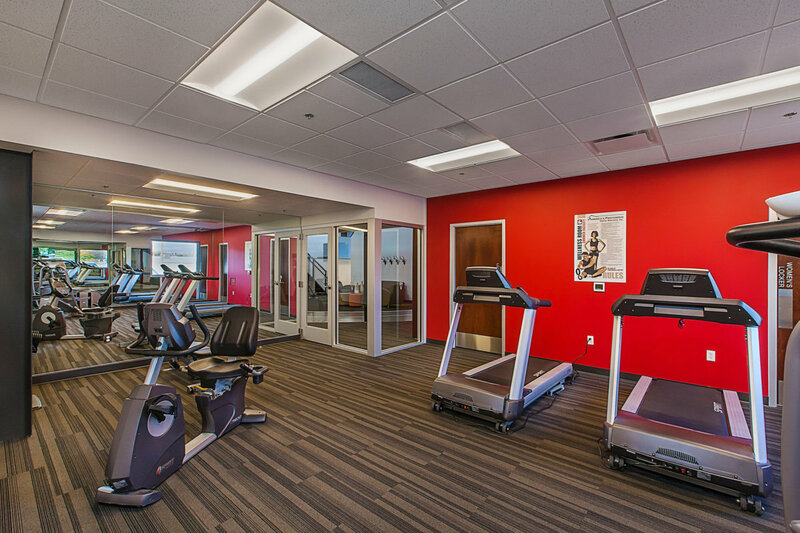 Amenities include a gym and walking track, as well as a locker room with showers. 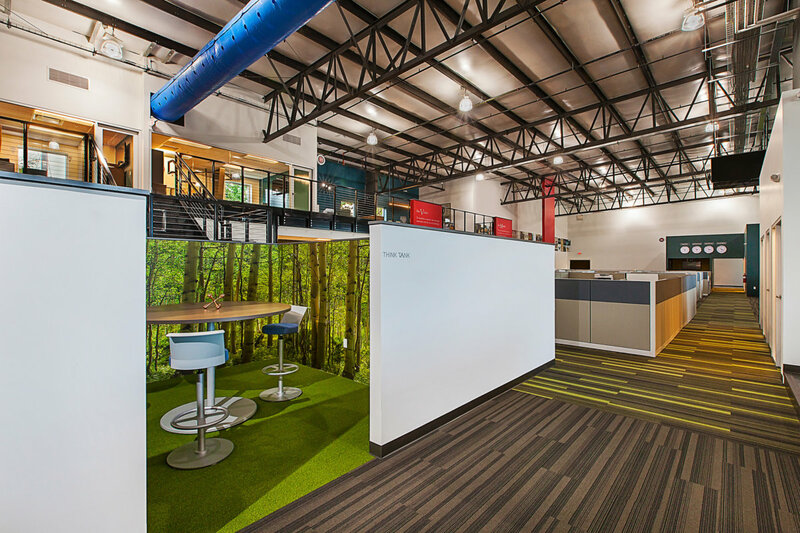 The atmosphere within the APHW headquarters is one that promotes creativity, wellness, teamwork and productivity, created by an upbeat and welcoming workspace.